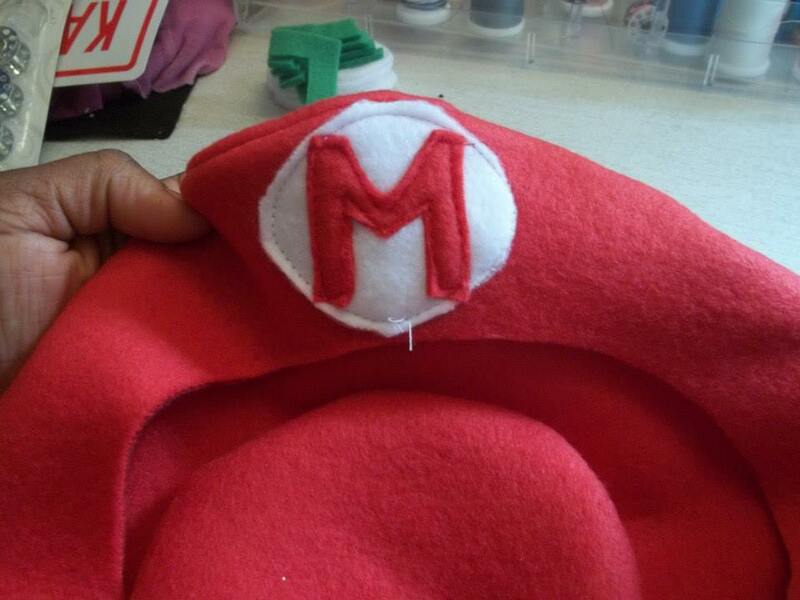 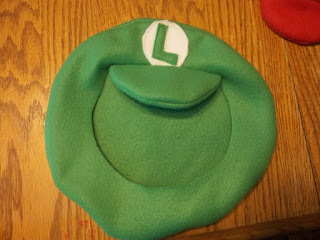 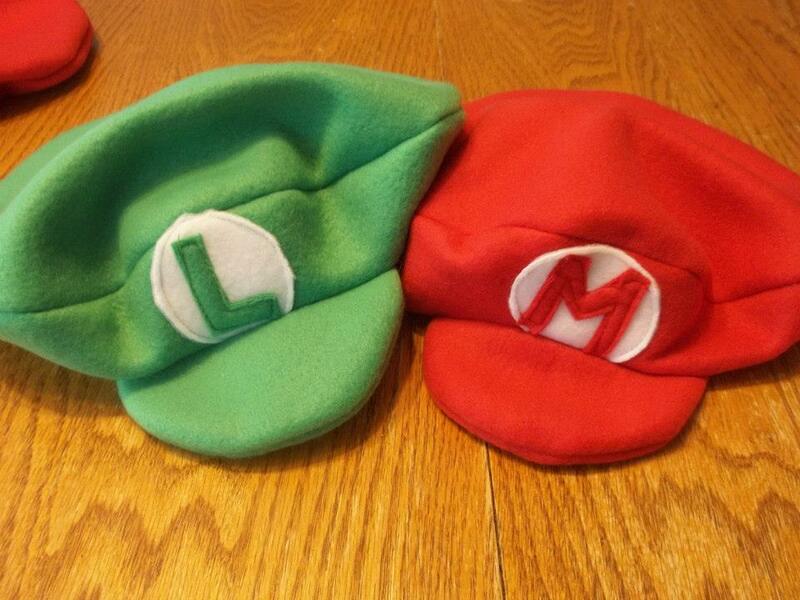 From time to time people ask me to make Mario and Luigi hats for parties. 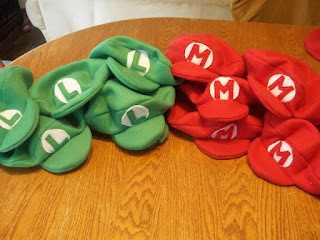 Several years ago I made a batch of these hats for my son's birthday party and they were a real hit! 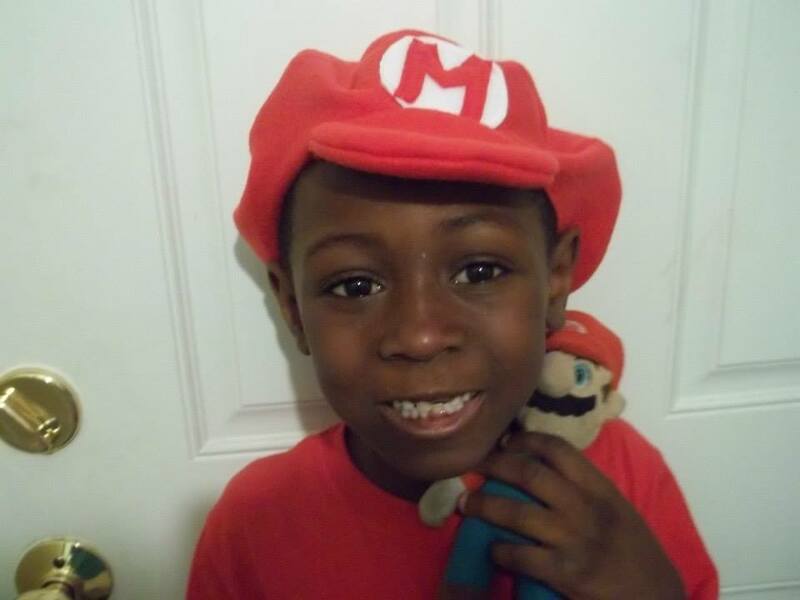 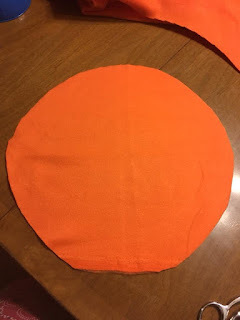 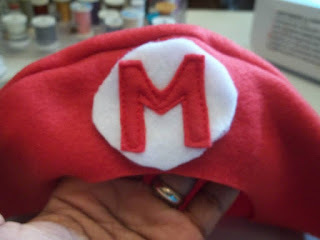 The other day a reader of this blog reached out to me and asked if I could make a large batch of hats in various sizes and colors for a video game themed family party. 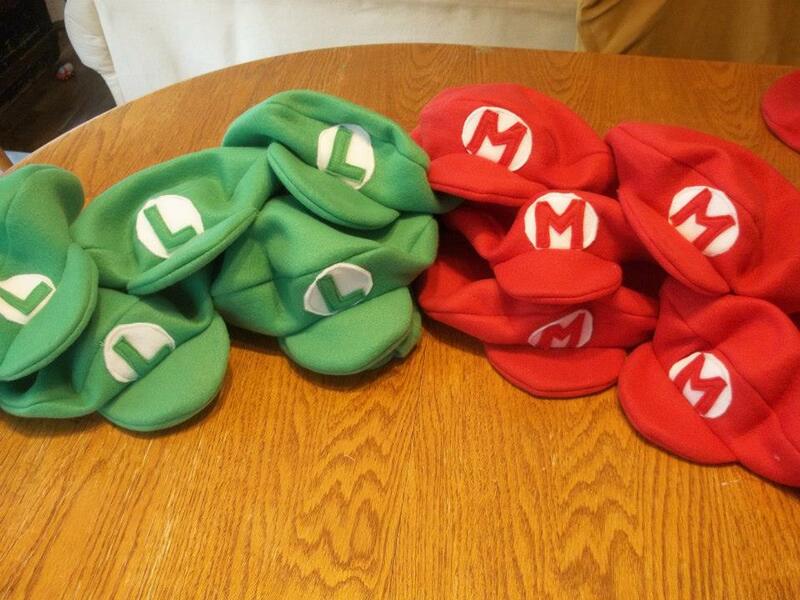 Children's party favors are usually one size fits all. 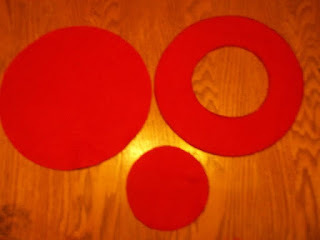 Because this order was for Small, Medium and Large hats I needed several patterns. 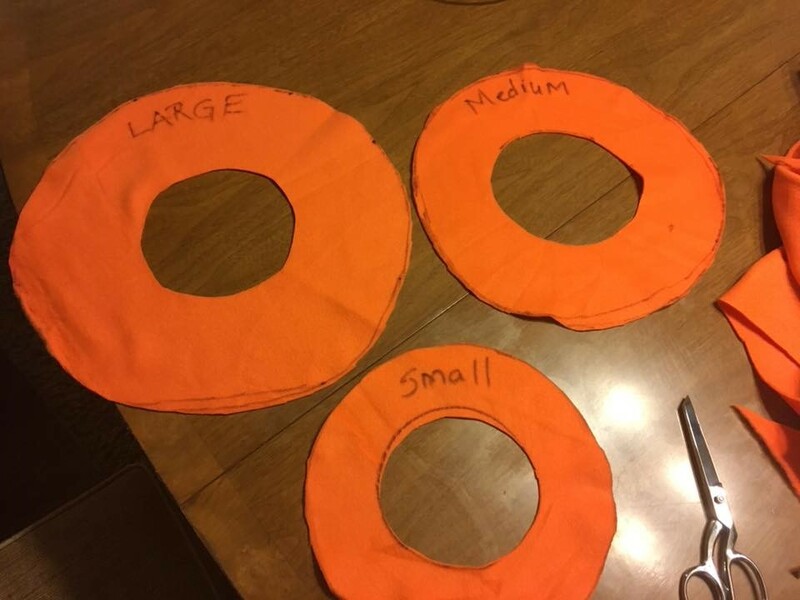 This blog post will cover the pattern making process for various size hats. 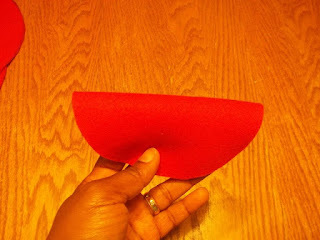 If you need to make one or two hats, read this blog post! 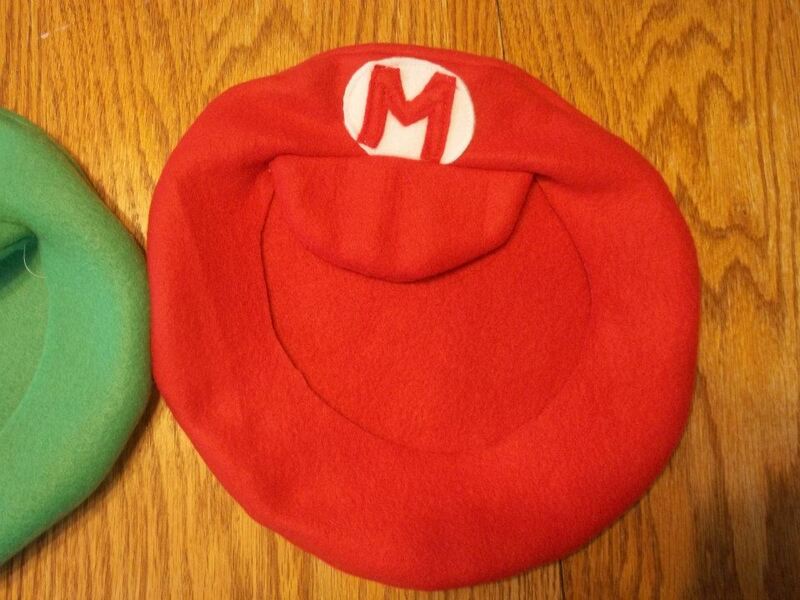 These hats are basically 3 circles. 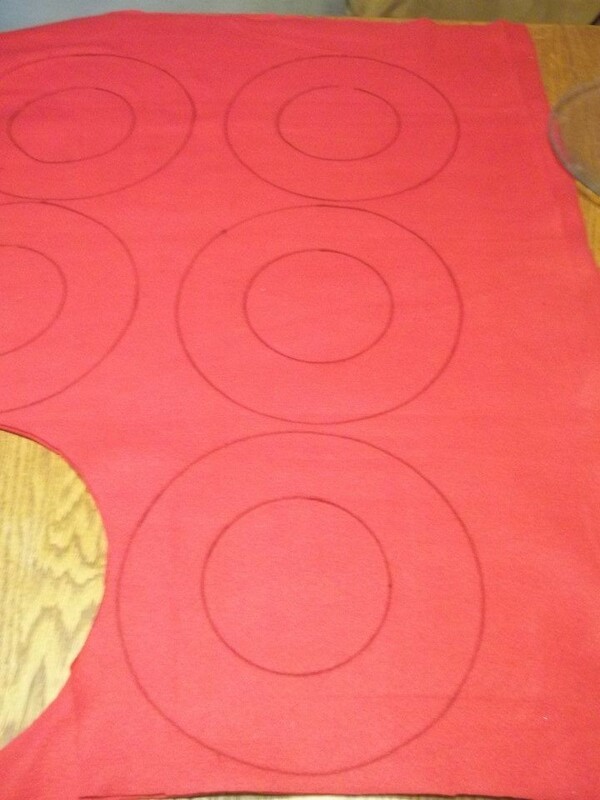 Use your ruler or tape measure to begin marking a circle on the fabric. For a 16" circle mark a spot at the tip of the tape measure, the center point (at 8") and the end point (at 16"). 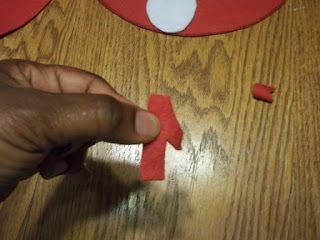 Using the center point as an anchor, continue to mark the circle. 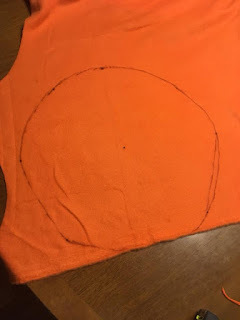 Connect the marks on the fabric to draw a circle. 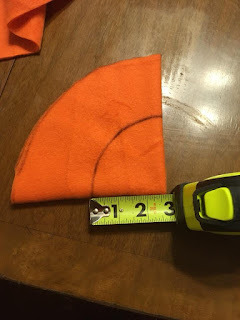 Using a tape measure, measure your head. Fold the pattern in half again. 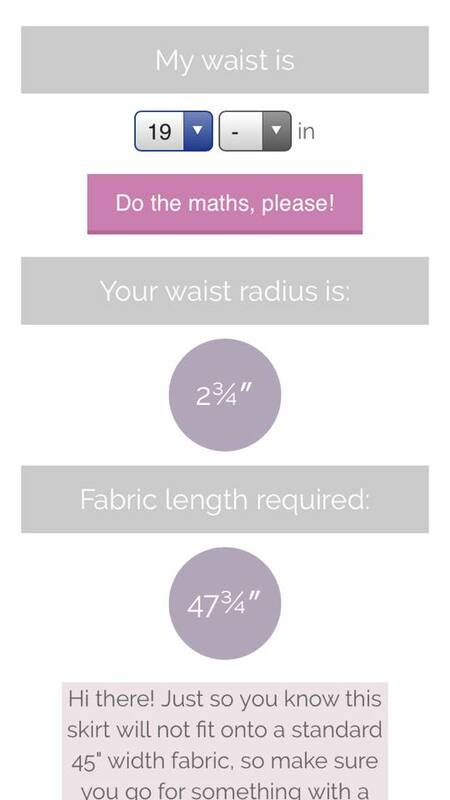 Find a circle skirt calculator on the Internet or on your phone. There are LOADS of circle skirt calculators available. 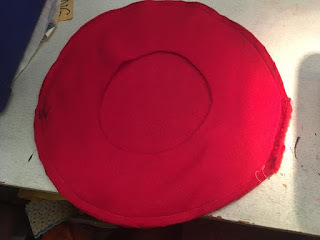 I use Circle Skirt App - By Hand London but they're pretty much all the same. The skirt calculator will help you cut the correct size hole for your head. 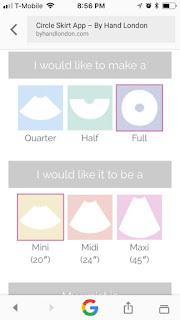 On the circle skirt app select "Full Skirt". 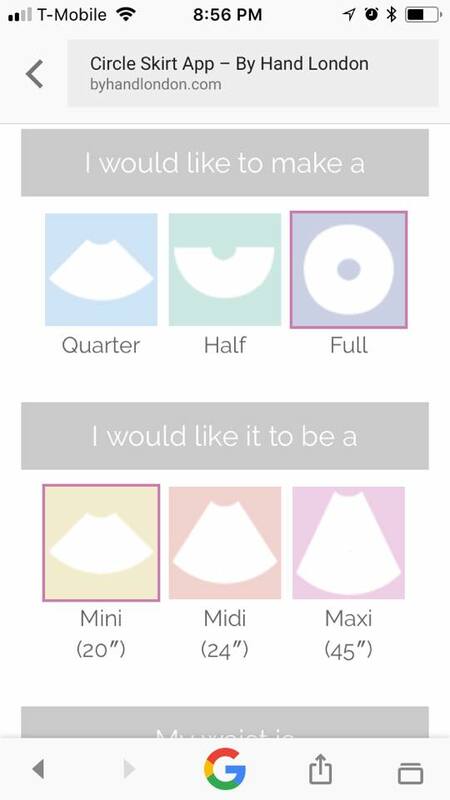 Also select Mini (this selection doesn't matter). 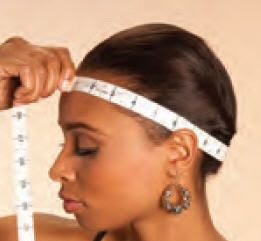 When asked for the waist size, enter your head size. My head is 20". 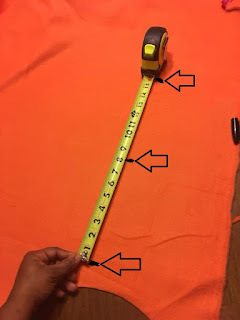 Because the fabric is stretchy, I entered 19 inches. 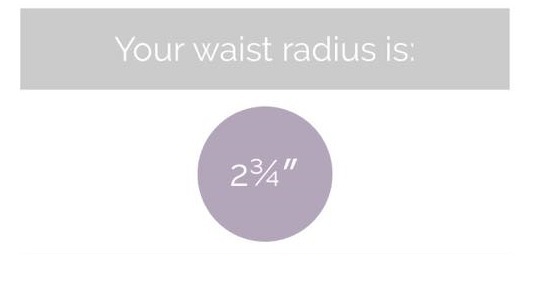 The number that you need to pay attention to is "your waist radius". 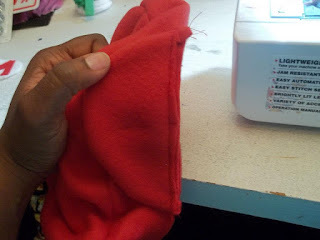 Measuring from the center point of your folded fleece, mark the pattern. 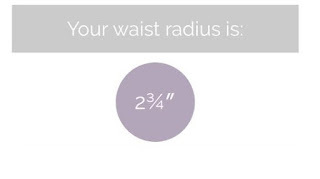 The circle skirt calculator told me that I needed to measure 2 3/4". So I measured and marked 2 3/4" from the center of the folded circle. Cut out the the center circle as marked. 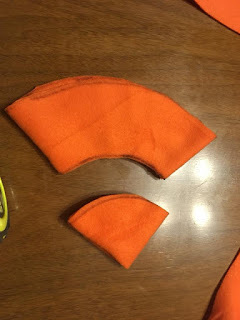 Your pattern is now complete! Your pattern is now complete. 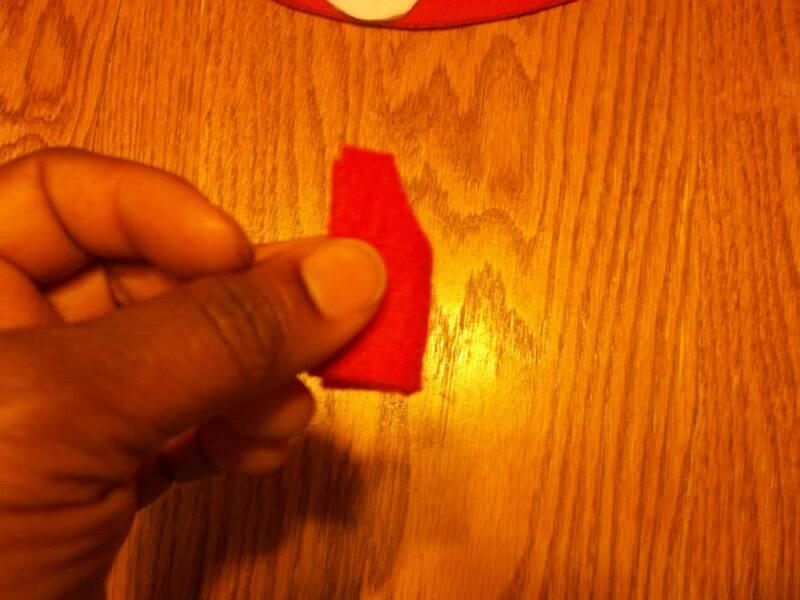 Fold a piece of Blizzard Fleece in half. 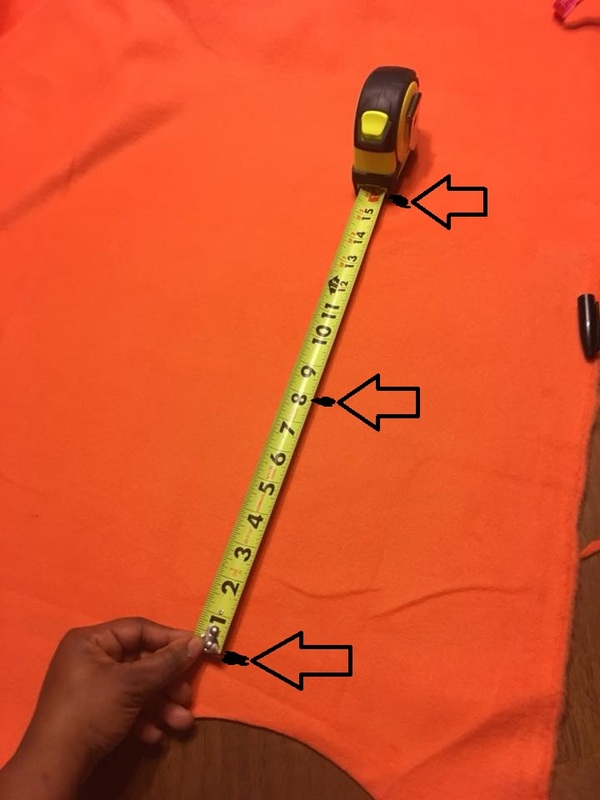 Mark the pattern on the fabric. You will end up with 2 circle. 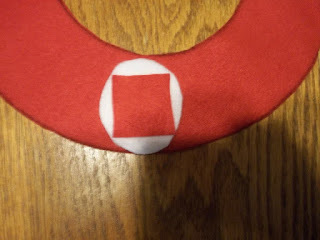 Carefully cut the center circle from one of the hat pieces. 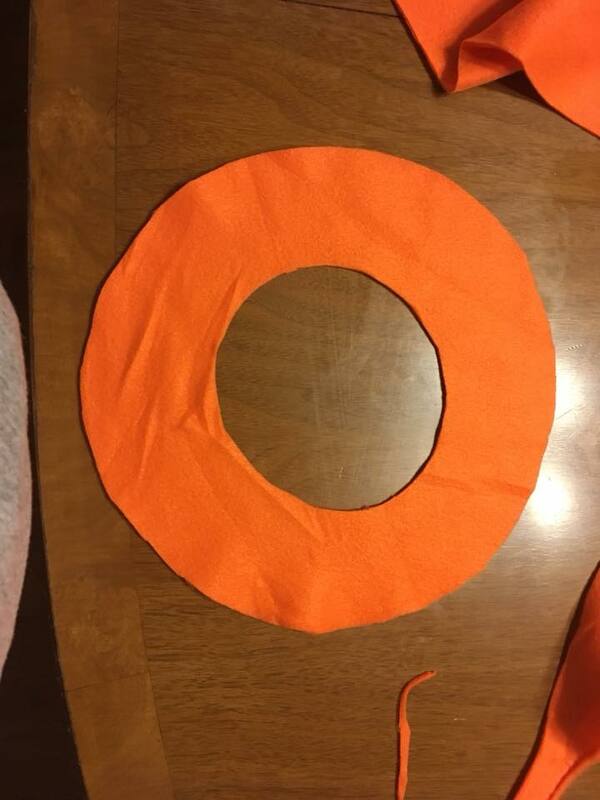 Fold the smallest circle in half. Cut along the fold. 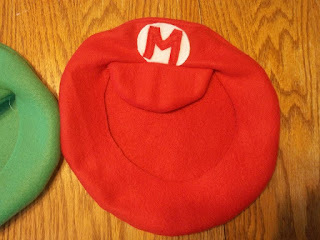 You should now have 4 hat pieces. 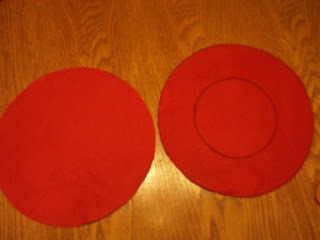 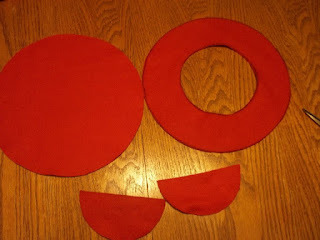 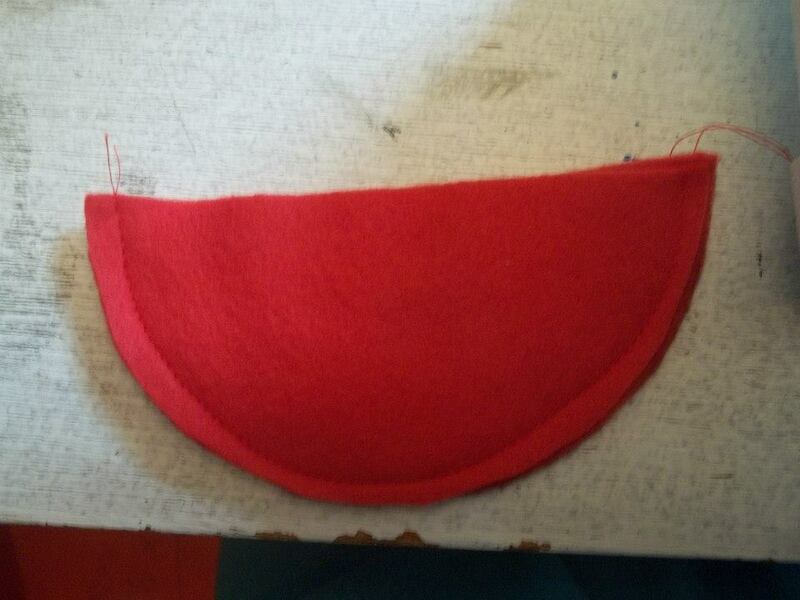 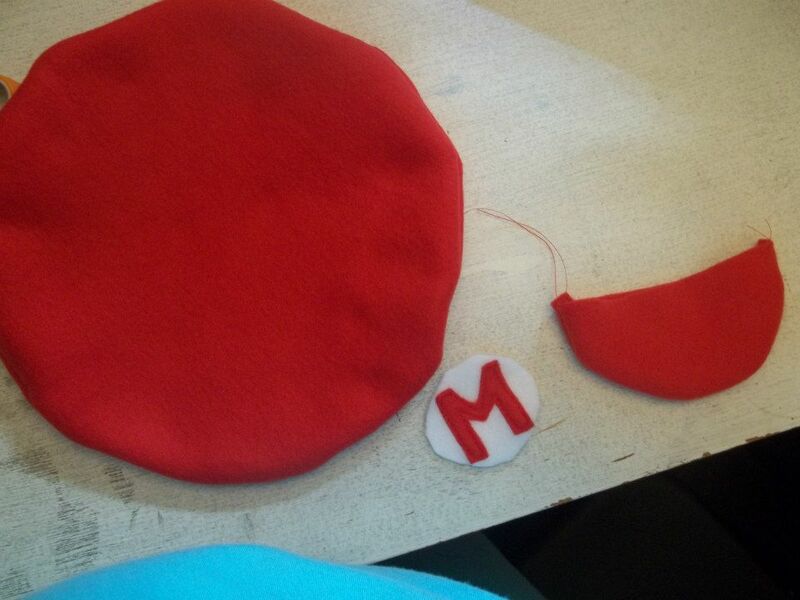 Sew the outer edge of the hat pieces together. Sew the outer edge of the hat bill. 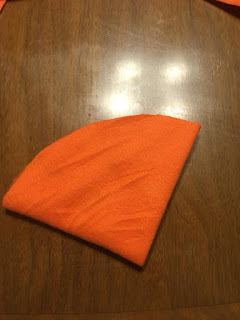 Turn the hat at the bill inside out. 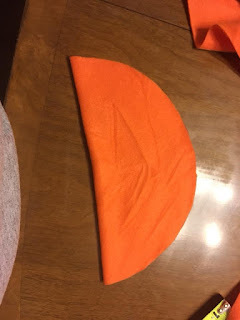 Center the bill on the edge of the hat band. 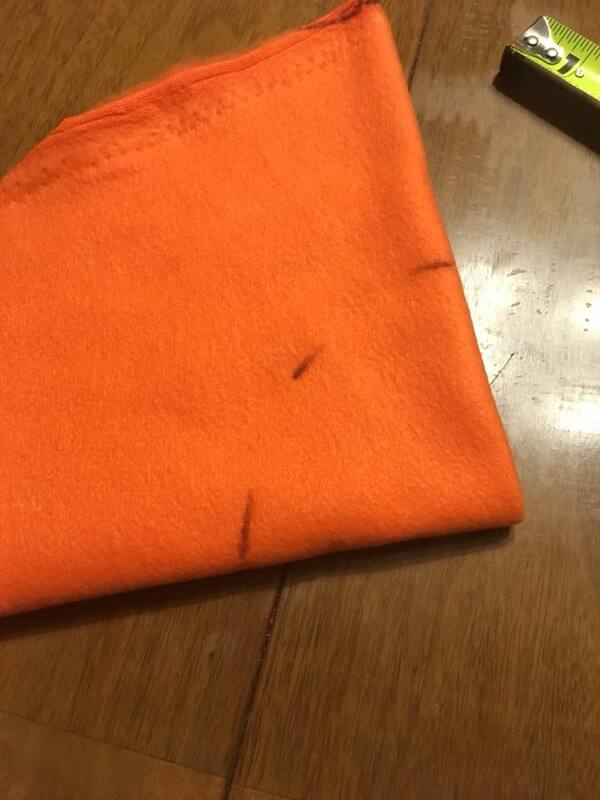 Stitch in place. 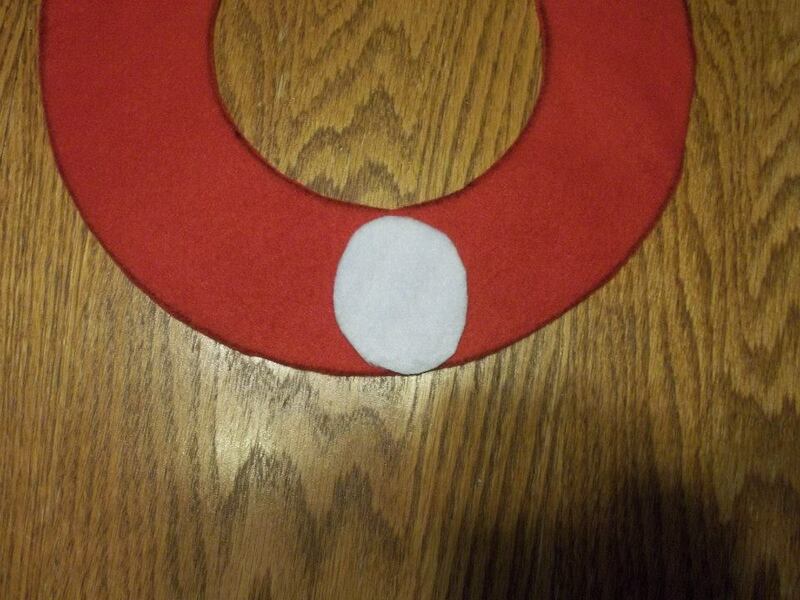 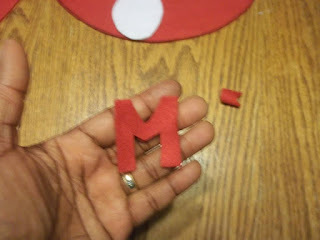 Using white fleece, cut a circle that is small enough to fit on the front of the hat. 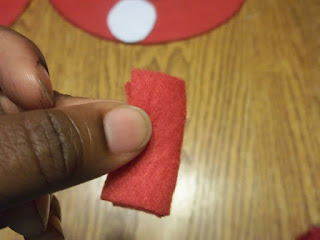 Cut colored fleece that is smaller than the white circle. Fold the colored fleece in half and out your letter. 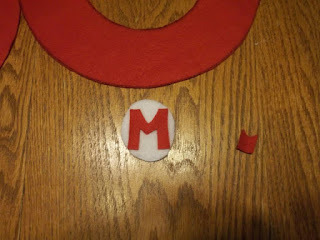 Stitch your letter to the white circle. 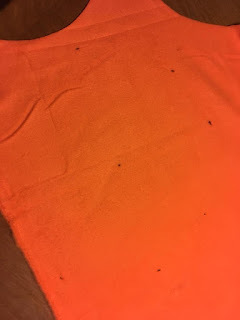 That's it - You're Done! !